you have a link in your post, make sure it?s going to your own site?ideally where someone can sign up for something (i.e., a free report, webinar, targeted opt-in page). 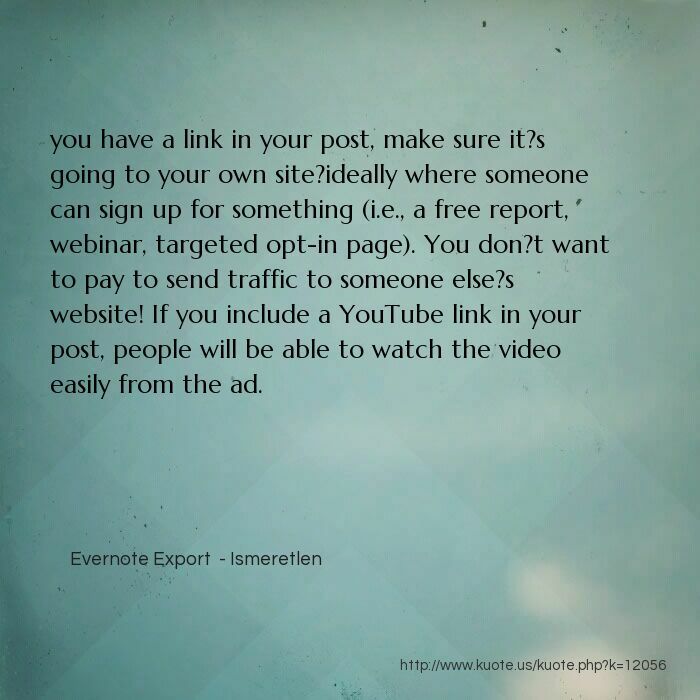 You don?t want to pay to send traffic to someone else?s website! If you include a YouTube link in your post, people will be able to watch the video easily from the ad.